Salisbury, NC (9/26/2018)— StarCom Racing and Dairi-O Restaurants, located in North Carolina, rekindle the flame and team up again, this time for the Bank of America Roval 400 on Sunday, September 30. 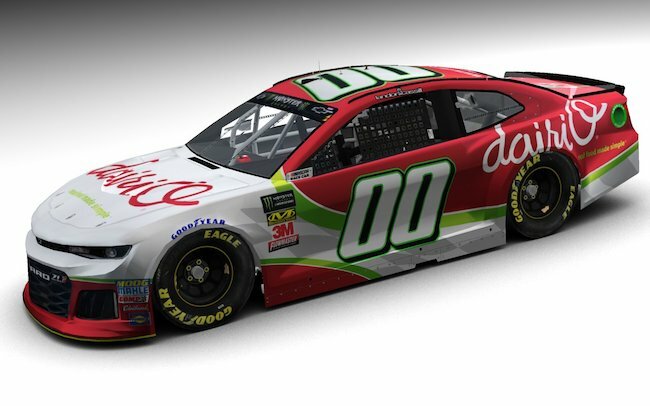 The 00 Dairi-O Chevy will be piloted by Landon Cassill on Charlotte Motor Speedway’s newest track, the Roval, which is half road course, and half oval hybrid track. Be sure to tune in to NBC Sports Network at 2PM ET to watch this course unfold for the first time ever. “We’re proud to partner with Landon Cassill and StarCom Racing in Charlotte for the first ever Roval Race. Just like NASCAR, we are passionate about the speed and precision of our operations. It’s exciting for our brand to be able to promote our fresh quality food through a thrilling sport like racing,” said Jeff Speaks, President & CEO of Dairi-O Restaurants. The 00 Driver, Landon Cassill, will be making an appearance at the Dairi-O Restaurant of Mooresville on Thursday, September 27 at 7PM ET. The restaurant is located at 920 River Hwy, Mooresville, NC. We encourage all fans to come out for a meet-and-greet with Landon and a signed hero card. fast and fresh. Come in hungry, leave O so happy!